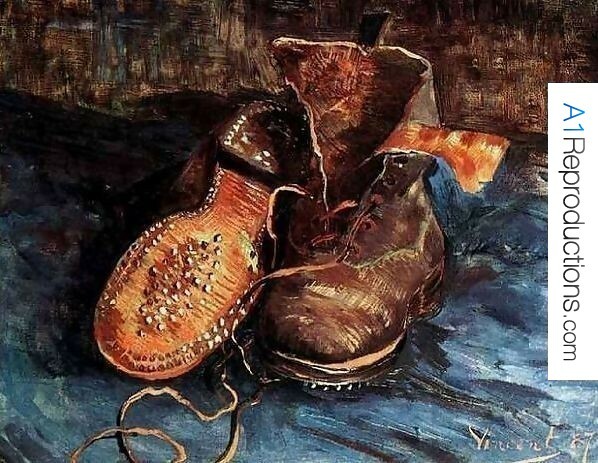 And if Vincent liked them, they must have been cool. (even if no one realized it until after he died). 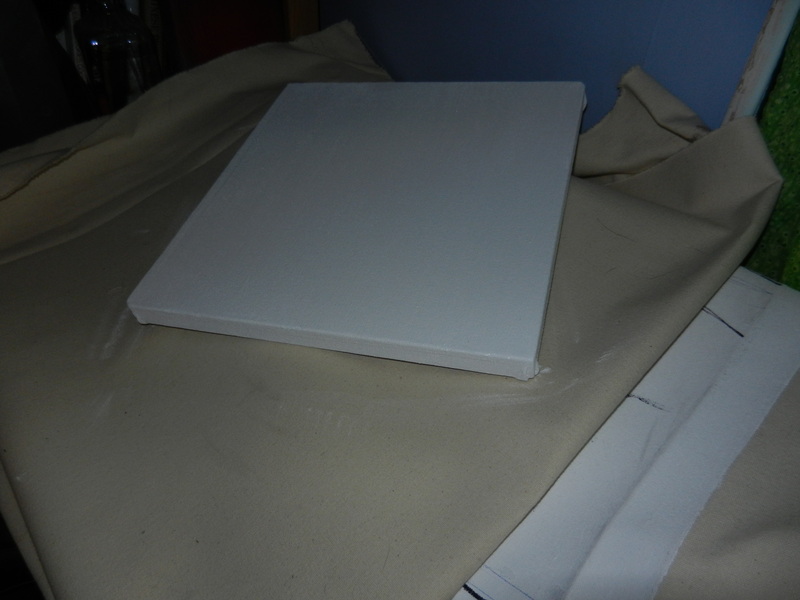 These two future canvases are intended for a special project. My sweet baby cousin, Isabella, recently moved into her own room and it had a large empty wall. The room is themed with Disney princesses because she’s two and loves them. The walls are bright pink and in need of something large and theme-matched to help distract you from all the pink. Originally I was going to paint the wall, but the live kinda far for me to be traveling there often and it would be a challenge to have limited access. The final project idea became two large paintings; one of Cinderella’s Castle and one of her stage coach. I am so excited about this project and I want to get started, but alas the canvas I ordered from Pearl has not arrived yet (probably because I only ordered it yesterday). I did find a smaller set of stretcher bars while I was cleaning though. 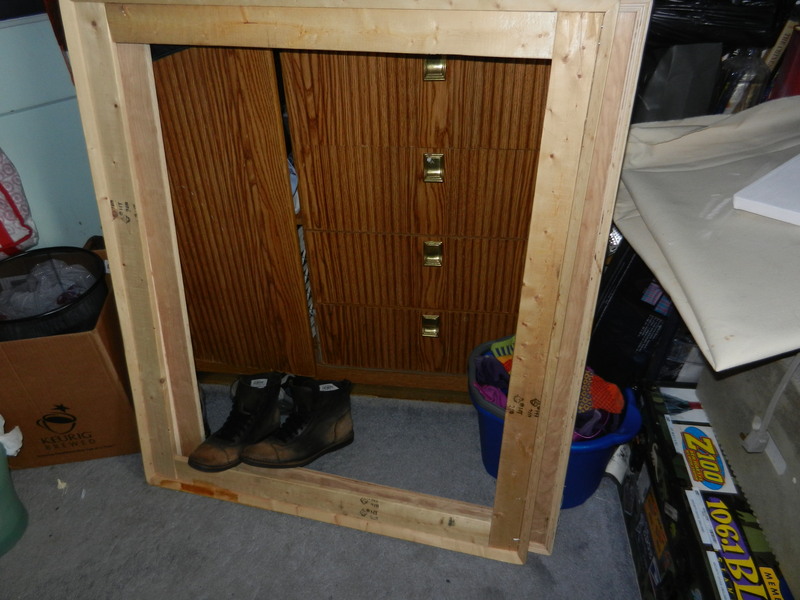 Also, I had enough canvas available to cover it – so I did! I even primed it. This small canvas is one square foot and currently has no set plans. Frustrated that I was not able to really play with paint I decided to pull out my Arakkis painting! 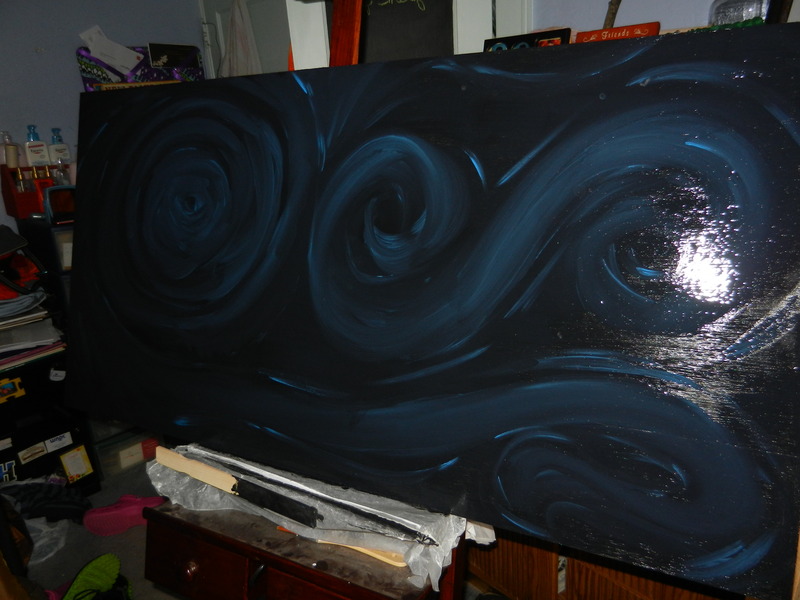 The background was not as dark as I want it to be so I painted a new coat of a deep black/gray. Then I came full circle and added some VanGogh-esque swirls for cyan space dust. sorry about the photo quality, the paint was still wet so it was hard to photograph. That’s really all I have for now, I’ll try to keep on updating. Posted on March 2, 2012, in Current Project, New Project, Paintings, Updates on Old Projects and tagged acrylic, Arrakis, blank canvas, canvas, cinderella's castle, Disney Princesses, Dune, fantasy, Muad'Dib, nerd, Old painting, painting, Shai Hulud, space, space-scape, swirls, Vincent VanGogh. Bookmark the permalink. Leave a comment.